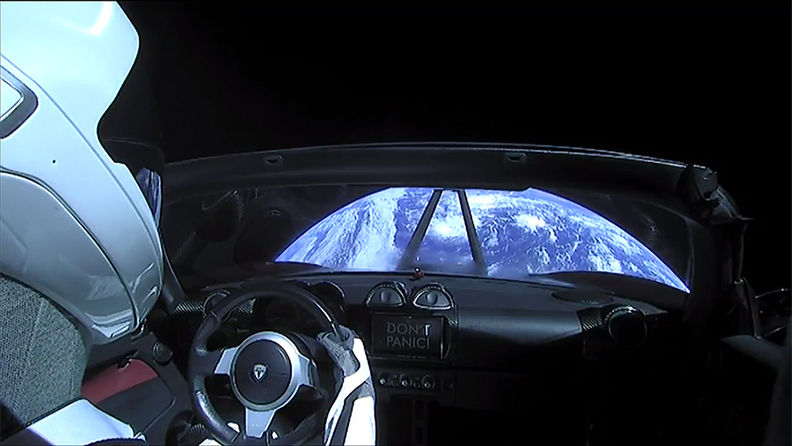 SpaceX has done it again, Elon Musk and his team of rocket scientists, all 6,000 of them have launched his Red Tesla Roadster with Starman at the wheel on a road trip to the Asteroid Belt. Oh, it was launched atop the world’s strongest rocket by a factor of two! SpaceX rolled out its newest, biggest and most capable rocket to date, the Falcon Heavy, on Tuesday February 6, 2018 from historic launch pad #39 at Cape Kennedy in Florida. In 1969, NASA launched the Saturn V to the moon from launch pad 39A and this journalist was standing on that beach to watch it first hand. NASA’s Saturn V was completely a throw-away ship, costing 6 billion dollars in today’s dollars to develop, build, and launch. Elon Musk said after Tuesday’s inaugural launch of the reusable rocket system that SpaceX probably paid $500 million out of pocket on this new system. All three rocket cores are reusable. 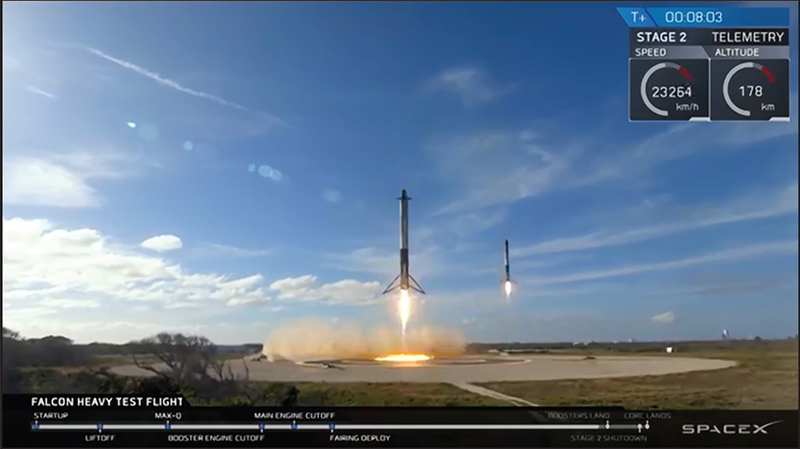 The first highlight of the Falcon Heavy launch was the near simultaneous landing of the two independent side rockets back at their launch site about 8 minutes after taking off. 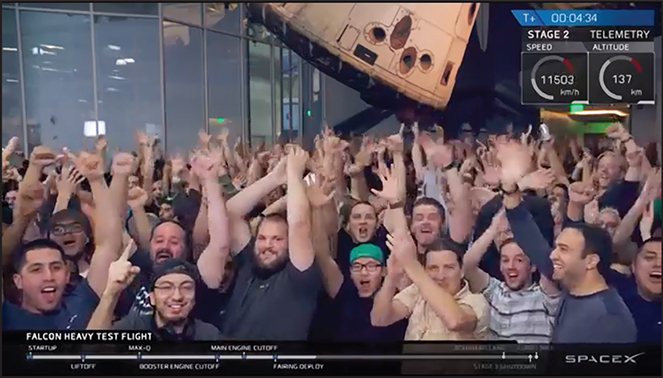 The center core was so excited to get back to work, it autonomously went straight into rapid disassembly upon landing near the drone ship stationed off the Atlantic coast, considerably reducing SpaceX’s costs to recover and return the rocket to flight ready status for the next flight. Next up on the hit list was the big reveal when the nose cones protective flarings came off and the payload, a Cherry-Red Tesla Roadster with Starman strapped in his SpaceX self developed next generation space suit at the wheel. Just to prove the durability of the launch system the roadster and the rocket’s 2nd stage dwelled in the extremely hazardous Van Allen Belt area, getting zapped for a few hours. Then finally a final rocket boost propelled the Tesla and Starman not to the Moon, not Mars, but all the way out to the Asteroid belt on a single elliptical orbit without a gravity assist cycle that should last a few million years. 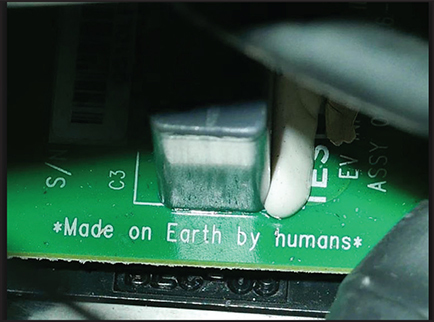 Elon Musk and his band of enthusiastic Rocketeers have re-lit the world’s space race.